I don't mind the Odyssey, but shrinking it and calling it a fit is ugly to me. The 2nd Gen is the best one to me. They only needed to go with the flow of that design. To some, it may look better, to some it is worst. The bottom line with me is the Quality of where it is being built. . . . . . . . .
future in a Mexican plant. Not a place known for quality products. All of my previous and current Honda's have been built in Japan; known for quality ! I agree, if I'm gonna buy a Honda it better be from Japan. I always though the ge8 looks like a mini odyssey. Should put an odyssey badge to confuse people. My sentiments exactly. 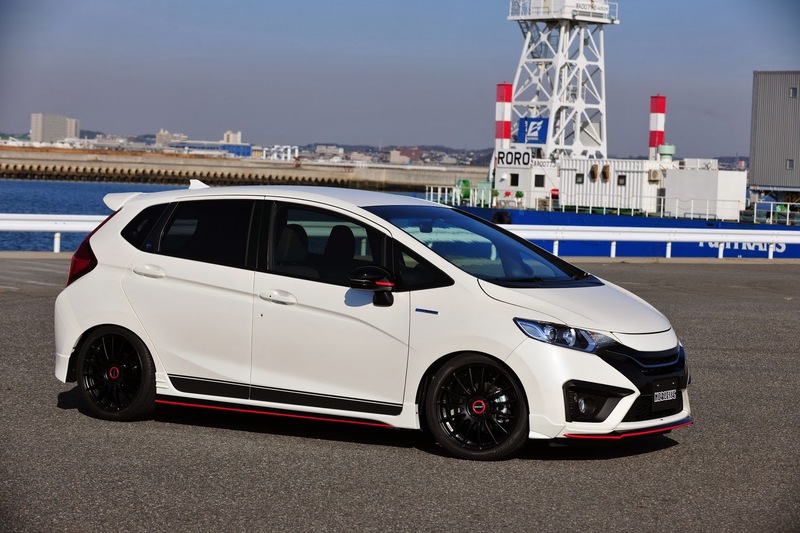 Out of all the generations of Fit's I think the all-new 3rd-gen Fit looks by far the LEAST like a mini minivan. You guys are really going to have to get used to globalization. Japan is quickly not being a complete manufacturer - whatever Japanese car you buy next will at "best" be assembled in Japan from subparts manufactured and assembled elsewhere. How do you even manage to walk properly with shoes made in the third world? Maybe this will convince you a bit. Yup, just get a red one and you won't notice it, lol. It looks way too CRV-ish. Considering the only thing that I hate about the CRV is the tall tail lights it is not surprising that I hate the look of this as well. I really like the tails - they remind me of the Volvo C30's tails, a car I almost bought. I'm sure they'll grow on most people, or at least be less annoying, over time. Looks like them rear lights are'nt sitting too well with some, and others, like me, either like or will live with it. The improvement - they will be LED's. The hope - am sure that after one year, tons of aftermarket stuff will be available. Japan already has them mildly available but once this vehicle hits our shores, am certain modders will have a field day prepping their cars to have all sorts of looks, not only from the rear, but at every angle. Unfortunately, for me, the wife keeps a tight watch on the expenses and still insists that I continue to keep our '08 (base/auto now pre-sold to her niece). Have been tempted many times over the years to at least give it a half-way "pocket-rocket" look but to no avail. The only exterior part I ever had to purchase was an OEM wheel cover (14") which the wife creamed. To top it of, she made me search for a used one from a wrecker!!!!! At least I saved 70%. That said, my order (made in Feb.) with the local dealer is for the EX-manual and it comes with enough standard equipment to satisfy my jaunting around economically. Am looking forward to driving stick again!!!!! Last edited by ROTTBOY; 04-06-2014 at 10:41 PM. Do you will like to change your FIT for the NEW 2015 model?? ?